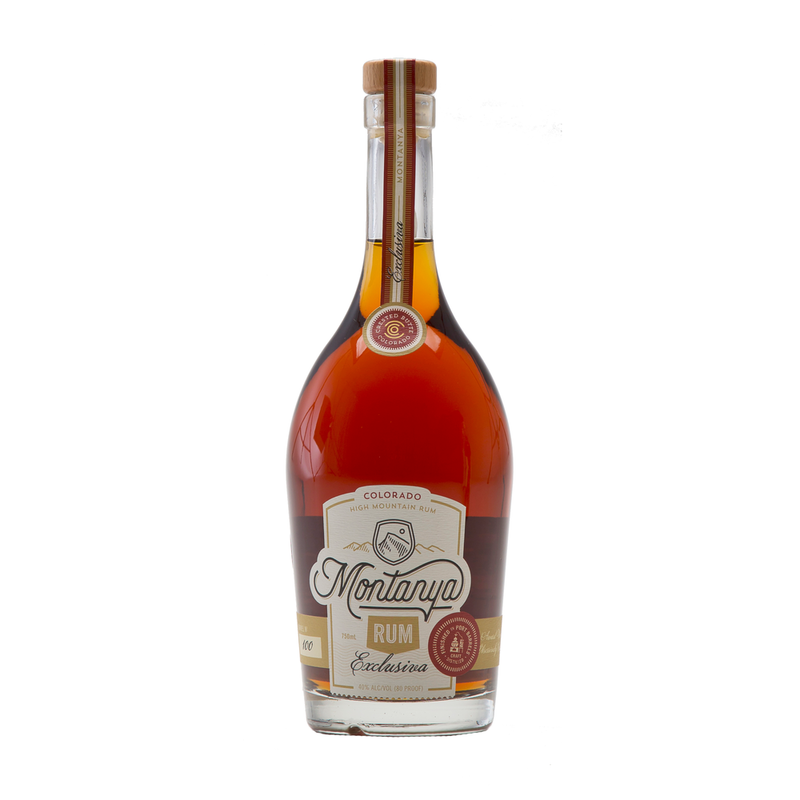 Montanya Platino is a barrel aged rum, distilled from American Sugar Cane. The Platino is aged for one year in an American White Oak barrel that previously held Laws Colorado Whiskey and then aged our Montanya Oro rum. The Platino is then filtered through a coconut husk charcoal filter to remove color but leave behind most of the natural flavor. Unlike many light rums, the Platino has the smoothness contributed by barrel aging in addition to the complex flavors of an aged rum, while it is free of the cloying sweetness of added sweeteners and flavorings. 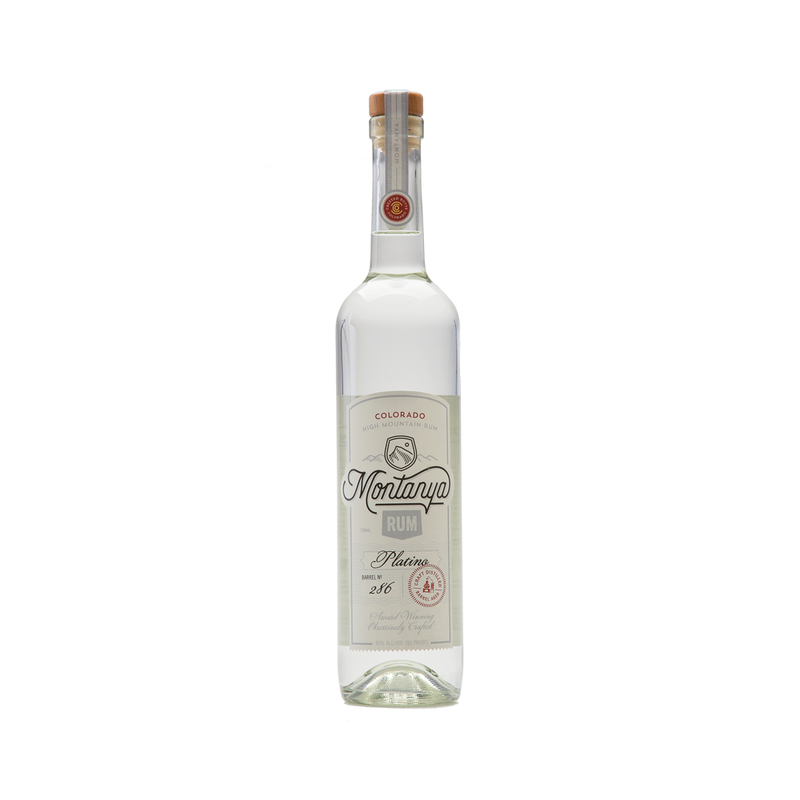 The Platino does receive a tiny touch of Colorado Rocky Mountain honey at bottling time, which brings out the natural flavors of the barrel and the rum itself. Flavors prominent in the Platino include biscotti, cream soda, cardamom, coffee, vanilla and black pepper. The Platino has been awarded 9 gold medals and two "Best in Class" designations in International competitions, as well as "Best White Rum" at the World Rum Awards, UK 2015. See below for more awards. Available in 750 ml in 6 bottle case and and 50 ml bottles in 60 bottle case. Click here to read media articles. Montanya Oro is also a barrel aged rum, aged for one year in an American White Oak barrel that previously held Laws Colorado Whiskey for 2-5 years. The Oro goes into the barrel when it is wet and fresh from the whiskey, so it is more full-bodied and picks up more flavor from the oak. The Oro also receives a tiny touch of Colorado Rocky Mountain honey at bottling time, but is never filtered to remove color. The natural color of the barrel remains, along with a slight bit of color from the caramelized honey. Unlike many dark aged rums, the Oro never receives molasses caramel or artificial colorings/flavorings. The flavors in the Oro emerge naturally from the sugar cane and barrel aging process. Flavors prominent in the Oro include red chili, coffee, caramel, vanilla, pineapple, and chocolate. The Oro has received 8 Silver medals and one "Best In Class" designation in competition. Available in 750 ml in 6 bottle case and and 50 ml bottles in 60 bottle case. Montanya Exclusiva, our limited release only available in Colorado as of October 2015, is barrel aged for a total of three years - two and a half years in an American White Oak barrel that previously aged Colorado whiskey. The rum is then transferred for an additional 6 months to a French Oak barrel that previously aged Sutcliffe Vineyards Cabernet Sauvignon and Port. This 3 year aged rum is wonderfully unique, with a dry, tannin finish that is very rare in aged rums. The smoothness from being longer aged at altitude and proofed with mountain spring water from a well under our facility makes it a connoisseur's sipper. The flavor profile is extremely complex as cinnamon meets red wine, honey meets vanilla, and none of the above overwhelm your palate with sweetness. Perfect for a Rum Manhattan, Old Fashioned or Ti' Punch, or sipping straight. Montanya Aniversaria, our limited 10th Anniversary release, is only available in Colorado at our Tasting Room (325 bottles total in first release) as of April 2018. This rum is barrel aged for four years - 3 and a half years in an American White Oak barrel that previously aged Laws Colorado Bourbon. The rum is then transferred for an additional 4 months to a French Oak barrel that previously aged Sutcliffe Vineyards Cabernet Sauvignon and Port. The final finishing barrel for the last several months previously held Peach Street Bourbon in American White Oak. This 4 year aged rum is wonderfully unique and smooth, with a slightly sweeter finish than the Exclusiva, with fruity notes - tart cherry and peach. The flavor profile is extremely complex and long lasting. We recommend sipping this one straight at room temperature. A portion of the proceeds from the sale of this rum go to support two non-profit partners whose missions we support daily: The Women's Distillery Guild and The Rocky Mountain Biological Laboratory. To purchase, click the image above. Montanya rums displayed on the bar at Montanya Distillers' Distillery, Tasting Room and Rum Bar in Crested Butte, Colorado.